Who would expect an atmospheric rock duo like Idiot Pilot to emerge from the small town of Bellingham, Washington? But after self-releasing their own full-length album, Strange We Should Meet Here,Â concocted on pirated software in a basement, the young duo signed to Reprise Records and re-released the album in 2005. Since then, they haven’t been sitting back. Their new album, Wolves, takes theÂ success of their first record and builds on it. Despite the heavy screaming on “Planted in the Dark” and a few other tracks strategically placed throughout the album, Wolves is an otherwise soft electronic album reminiscent of Radiohead or Postal Service, though not as clean or easy on the ear as the other two bands. “Recurring Dream,” the final track, is the perfect capper: a seven-minuteÂ sweepingly melodic track that rounds off the album nicely and leaves the listener wanting more. Most of the tracks are decidedly light and approachable. The kind of electronic/post-rockÂ music that provides more of an ambiance than a simple feeling. FeaturingÂ intense programmatic sounds interspersed with guitars, drums and haunting vocals, Michael Harris, half of the duo, says, “I definitely feel like this album is a huge progression for us, and I’m just excited to see what happens next.” So, I’m sure, are all their fans. 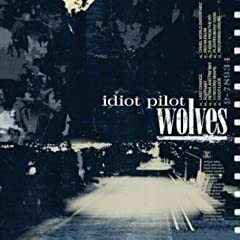 No user commented in " CD Review: Idiot Pilot, Wolves "